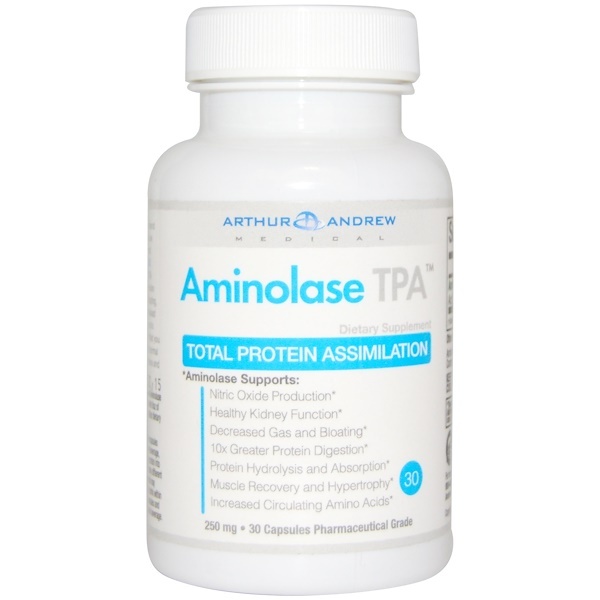 Aminolase is a powerful performance enzyme blend that allows for nearly 100% of ingested protein to be utilized for muscle building, strength, recovery and immune function. In a university study, Aminolase converted 25 grams of whey protein to nearly 100% amino acids whereas the placebo average conversion rate was 15%. Wasted protein can cause gas, bloating, and kidney stress. Whether you're a fitness enthusiast or a gracefully aging adult, aminolase enables you to benefit from any and all protein that you consume. 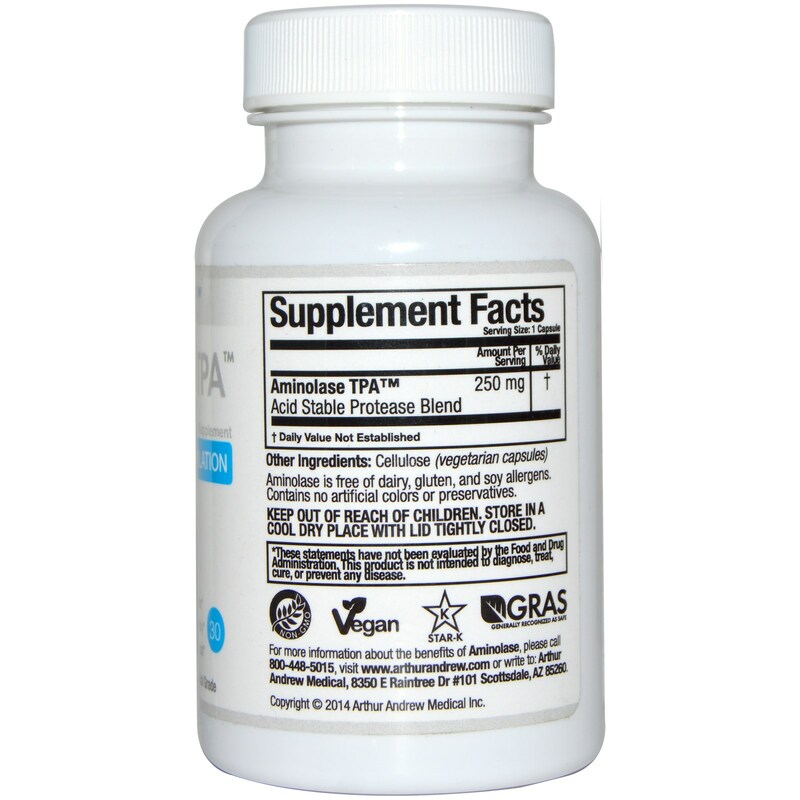 Aminolase supports normal weight, strength, pump, endurance and digestion. Consume 1 capsule of Aminolase per 25 grams of protein. Take aminolase with 8 oz of water at the beginning of each protein fortified dietary or supplemented meal. Delivery Methods: When Aminolase capsules are opened and added directly to a protein beverage, the enzymes will rapidly begin converting protein into amino acids. Amino acids have a significantly different taste profile in comparison to protein, which may impact taste and texture. For best results, drink within 5 minutes of mixing, or simply swallow capsules and immediately chase with your favorite protein beverage.